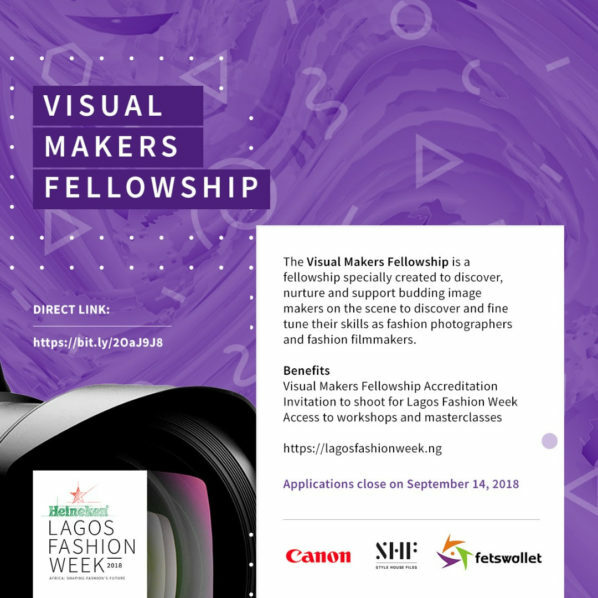 Heineken Lagos Fashion Week in partnership with Style House Files, Fets Wallet, Fayrouz, and Canon launches the first ever Green Access Competition and 2018 Visual Makers Fellowship. 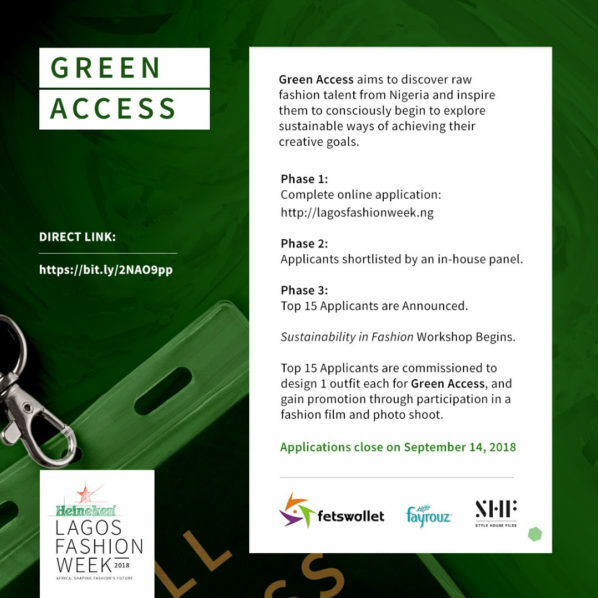 “We are committed to the Sustainable Development Goals and plan to utilize the Lagos Fashion Week platform to facilitate dialogues and implement initiatives within the African fashion industry. It is important these conversations trickle down to the new generation of talents, raising the consciousness of the need to create and effectively incorporate sustainable practices into the production cycle.” – Omoyemi Akerele, Founder Style House Files, and Lagos Fashion Week.